The sweet stuff not really your thing? Try something savory like earthy basil with a hint of crisp lime. Keep it scurvy free! 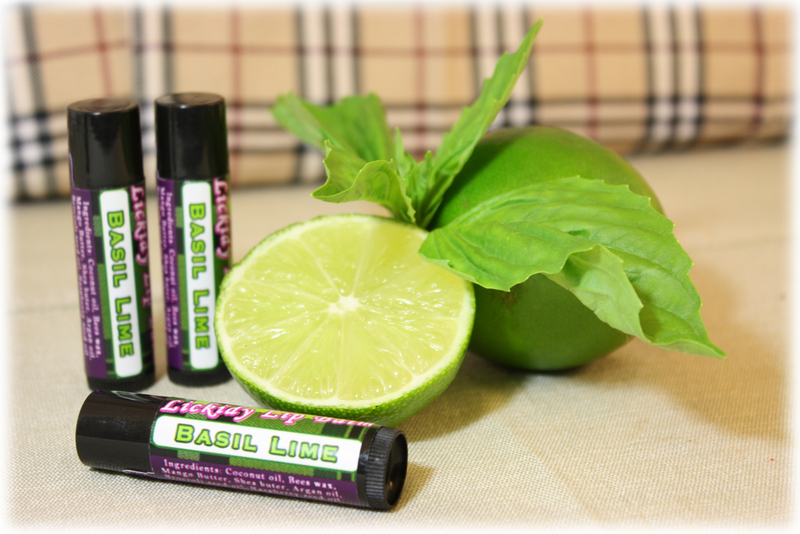 Carefully selected basil, lime and lemon essential oils combined to create this delight. *Basil and lime oils are not recommended for children under 2 years of age. Directions: Apply to lips and reapply as often as needed. Warnings: Store all products in a cool, dark place. Keep out of reach of children. When children are using this product, it should be under adult supervision. For external use only. Keep away from eyes . If you are pregnant, nursing, taking medication, or have a medical condition, consult a health professional prior to use. Some people may have sensitivities to essential oils, test on forearm before use. If irritation occurs, discontinue use. Use only as directed. Items used in the making of this product may contain nuts. Made in a pet friendly home. Consult us about potential cross contamination if you have allergies. .15 Ounces in each tube. Best if used within 12 months after opening.